Foundation walls can move or shift due to excessive pressure from the surrounding soil. If left untreated, this problem could cause serious structural issues such as cracks and further inward movement. 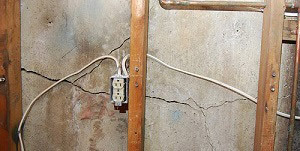 Basement wall bracing in Chicago homes used for cracks is the number one structural problem for home owners in Chicago. 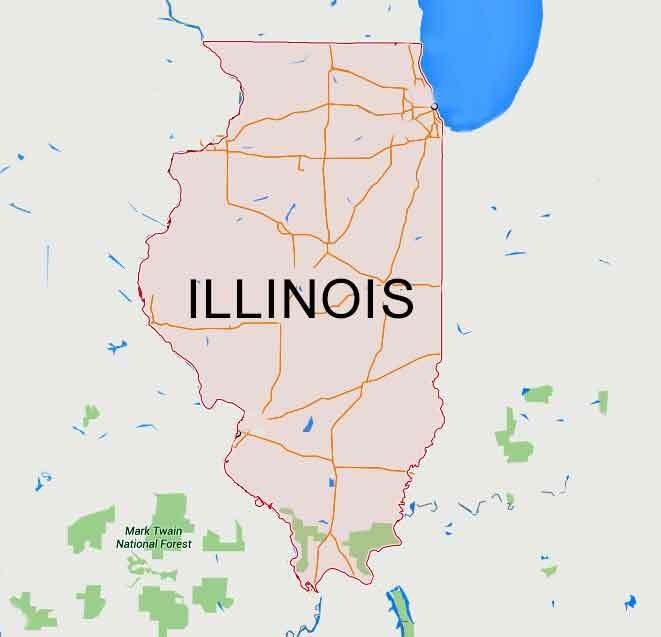 Because of this, United Structural Systems has revolutionized the use of wall bracing and basement wall reinforcing throughout the Chicagoland. We supply many options when it comes to bracing a cracked, bowed or leaning basement wall. Each option that we offer is a permanent solution to your unstable foundation. 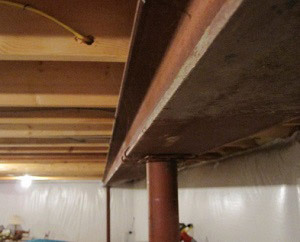 I-beams have been bracing basement walls as long as there have been cracks in basement walls. They are a very reliable method of structural repair when applied by structural repair experts, like USS of Illinois. A permanent solution requires that the basement wall, the concrete floor and the floor joist to all resist the wall pressures. The system has to be engineered and designed by professionals or the results may be devastating. Simply wedging a steel I-Beam against the wall can lead to catastrophic damage to your home. The floor joist can shatter and buckle your main level floors. United Structural Systems, as our name suggests, only uses engineered structural systems to repair your homes foundation. Our I-Beam basement wall bracing systems are time tested and proven to provide superior results over the competition. Our system ties your floor, wall and joist into a single unit providing the strongest possible wall support while allowing for the basement to be finished. While everyone has heard of carbon fiber being used in race cars and air planes now for the same light weight to high strength relationship it is being used to resist forces on bowing and leaning basement walls and for wall bracing systems in Chicago homes. United Structural Systems uses carbon fiber strips to help support basement walls, to stitch cracks and to strengthen foundation corners. 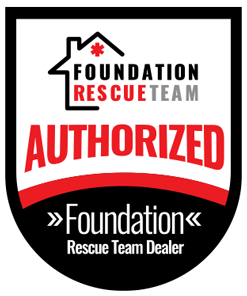 As with all foundation repair methods, preparation and experience is the keys to success. We only use the best products available and have been trained in their use by the manufacturers to insure that your home receives the best solution possible. Another basement wall bracing technique that we use is called helical tieback bracing. Once again, this is an engineered solution for foundation wall support from United Structural Systems of Illinois. While this comprehensive system of support and straightening requires the most time and effort, it is also the best solution. Helical tiebacks require that the exterior wall be excavated, but this creates a good opportunity to waterproof and inspect the exterior drainage system around your home. Helical tiebacks install into the soil surrounding your basement at varying depths until a predetermined torque is achieved. Through an engineering calculation, a load capacity is determined and then, and only then, can the wall can be repositioned to its original alignment under your home. The only part that is visible inside your home is a steel wall plate that is easily covered with 2X4 construction. United Structural Systems has been installing these tieback anchors around Chicago for over 15 years with fantastic results. No matter what basement wall bracing system is best for you home United Structural Systems can solve your cracked and leaking basement permanently. Our estimators will evaluate your basement problems and then suggest a permanent solution to solve this problem. Contact us today for a free evaluation for whatever basement wall bracing system you need!